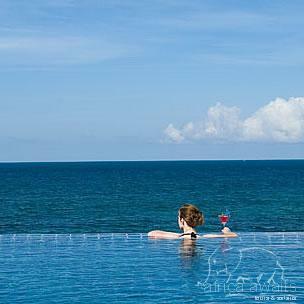 Pemba Beach Hotel and Spa is the gateway to the romantic Quirimbas Archipelago on the northern coastline of Mozambique and the Niassa National Reserve. It is a world-class destination where Swahili East Africa meets Arabia in a sweeping compilation of Arabian-inspired buildings, colonnades, turrets and archways. No effort has been spared in crafting this splendid establishment where businessmen gather for high-powered meetings and where international travelers sip Gin & Tonics on manicured lawns before setting off to explore some of the most beautiful islands and pristine safari wilderness on earth. Relax and unwind in comfort and style. Guests have a choice of 3-star Classic rooms, luxury Courtyard rooms, a variety of Suites or self-catering Villas; all rooms have air conditioning, en-suite bathrooms, satellite TV, personal bar and al-fresco patios. 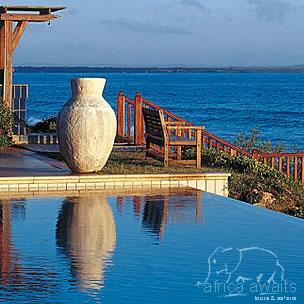 Endless Mozambique ocean views and striking architecture make Pemba Beach Hotel and Spa unique. 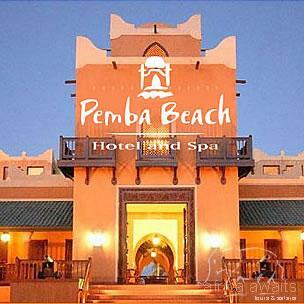 Arriving at Pemba Beach Hotel and Spa is to enter an exotic realm in an ancient land, where you may feel you are living the dream of adventures past and still to come. Representing a fusion of Arabic and African inspired influences, this Mozambique hotel impresses with its sweeping compilation of Arabian-inspired buildings, colonnades, turrets and archways sprawling over 100 acres. You are spoilt for choice with accommodation at Pemba Beach Hotel, its 102 rooms, all with sea views and individual balconies, providing a truly sumptuous rendition of Mozambique east coast living. The Indian Ocean glitters beyond manicured lawns, whilst inside your room you are cosseted in a haven of rich furnishings, Persian rugs and marble-clad bathrooms. Choose from amongst 60 sea-facing 3-star Classic Rooms, 32 stylish Courtyard Rooms with sea-facing or partial sea-facing views, 2 Royal Suites with sweeping sea views, or 8 self-catering villas, each accommodating four adults and two children. All rooms are air-conditioned and contain en-suite bathroom with bath and shower, mini-bar, satellite TV, direct dial telephone, coffee- / tea-making facilities and electronic safe. At night, you will enjoy the Mozambique tropical heat as you drift from the Niassa Bar, with its wildlife trophies evoking past hunting days, to the Quirimbas Restaurant where leading chefs sculpt a blend of international and local cuisine, with local Mozambique seafood in abundance. By day, you may laze around the infinity pool which seems to tumble into the ocean, or take a short walk to the buzzing Clube Naval, with its own swimming pool and adjacent yacht marina. Here the Activity Centre tempts you with all the sporting action your heart desires - deep-sea fishing for Kingfish, Sailfish, Marlin or Barracuda, diving off coral reefs, snorkeling, windsurfing, sailing, kayaking or water-skiing. Fitness enthusiasts can sweat it out in the well-equipped gym or on the floodlit tennis courts. With sweeping Arabian-styled buildings, magnificent facilities and range of sporting activities, Pemba Beach Hotel and Spa is the ideal destination - whether it be for families, a wedding party, corporate incentive groups or exclusive executive conference. Combining the efficiency of a business hotel with genuine exotic glamour, Pemba has become sought after as a leisure or conference and incentive destination, with the range of water-sports and pure indulgence of the spa serving as delightful antidotes to business pursuits. With your holiday, safari or business trip from in to Pemba Beach Hotel and Spa in Mozambique.